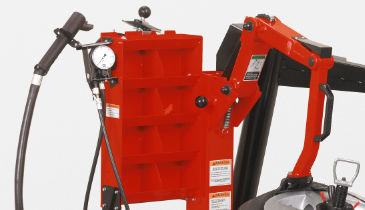 The center wheel support of this innovative tire changing machine gives the flexibility to easily mount large assemblies with overall diameters up to 50 inches. 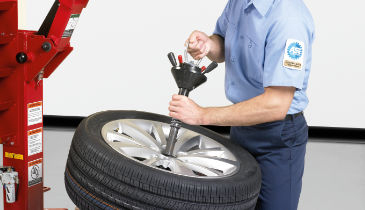 Wheels clamp to the tire changing machine safely through the hub, not on the rim edge, where marring damage can occur. 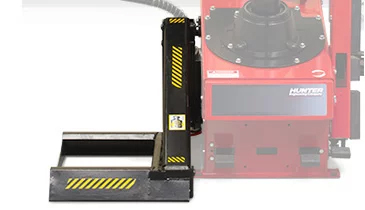 The powerful, high-torque electric motor on this industry-leading rim clamp tire machine exerts 800 ft.-lbs. 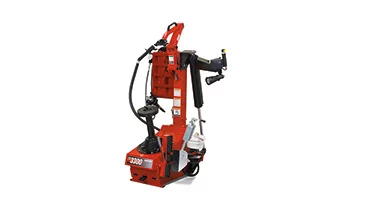 of torque to handle difficult assemblies. 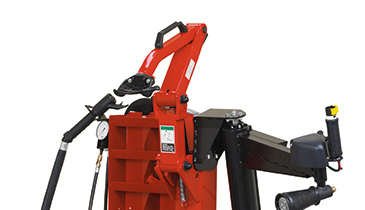 Eases levering and reduces back stress and unobstructed access to the lower bead for lubricating. Faster than swing-arm designs and follows rim for ultimate protection. Cam action multiples clamping force and no need for flange plates on reverse wheels. 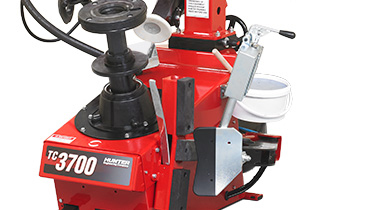 Powerful 200V motor, 15 rpm clockwise speed, 15 rpm counterclockwise speed & 800 ft-lbs. of torque. Store tools and accessories within arm’s reach. 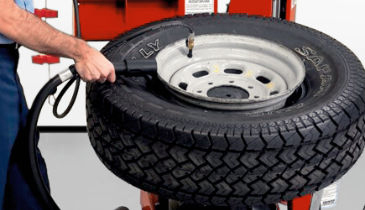 Great assist tool for a broad range of tires from passenger cars to medium-duty trucks. 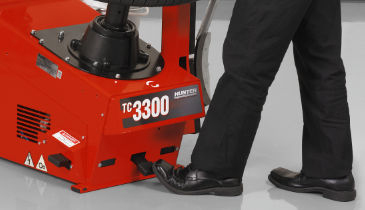 Specialized assistance for high-performance tires, moves with the wheel to hold the tire in drop-center position and locks into place when not in use. 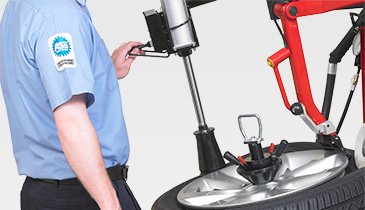 Optional wheel lift eases servicing of large assemblies. 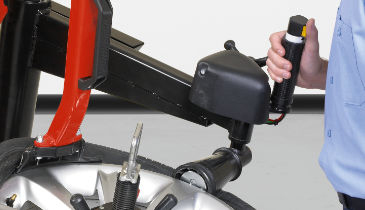 Allows for more careful handling of expensive wheels.